Dr. Schwartz was born and raised in Adrian, Michigan. 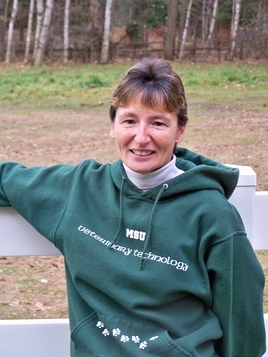 She graduated from Michigan State University College of Veterinary Medicine in 1979. 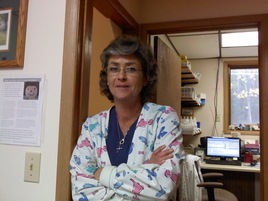 She worked at a mixed animal practice in Brooklyn, Michigan for 10 years before moving to Lincoln and establishing Alcona Animal Clinic in 1989. Dr. Schwartz enjoys the variety of challenges a mixed practice presents. In her spare time she enjoys outdoor activities, horseback riding, watching the Spartan sports teams, spending time with her family and friends. 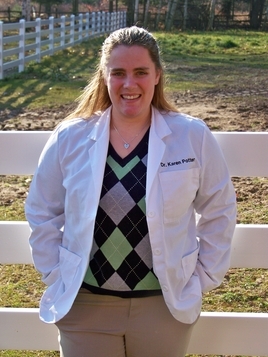 Dr. Potter was raised in Coopersville, Michigan and graduated from Michigan State University College of Veterinary Medicine in 2010. She joined our staff in June of 2010. Dr. Potter’s special areas of interest include bovine reproduction and disease management of small ruminants. Her hobbies outside of the office include training and competing with her German Wirehaired Pointers and Vizslas in NAVHDA and AKC hunting tests, AKC dog shows, recreational hunting, shooting sporting clays and archery, playing softball and other athletics and enjoying time outside. Dr. Potter also spends time with her varying hunting dogs. 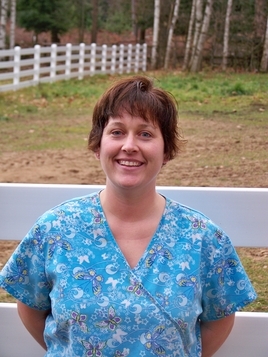 Tammy was raised in the Alpena area and is a 1983 graduate of Michigan State University’s Veterinary Technician Program. Her special interests at work are patient care, orthopedics and laboratory work. Outside of the office, Tammy likes caring for her farm of Beef cattle, camping and walking with her dog- Chance, an Australian Shepherd. Maria, or Bullet as we call her, is a graduate of Alcona High School. Raised here in Lincoln, she was active in the local FFA and school sports. Maria is also an MSU graduate, as well as a 2015 graduate from Colorado University of Veterinary Technician Program. In her time off she enjoys shooting bow and spending time with her horses- Randy, Emily, Kieron, and Kody, and spending time with her adopted dogs Sawyer, a Border collie mix and Hattie a golden/Labrador mix. 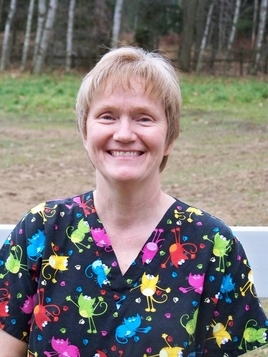 Sue brings to our practice over 25 years of behind the scenes veterinary assistant/technician experience with the office and customer service skills. When not working, Sue and her husband Ed live quietly on their small farm north of Lincoln. They currently board 4 horses plus have 2 of their own, have 11 cats (as of recent count) and a German shepherd. 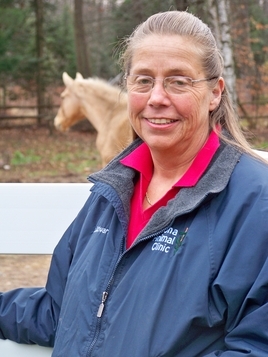 Sue enjoys reading and gardening, but mostly prefers to spend her spare time with her two horses, Spirit and Cheyenne. Sue and her mare, Spirit, are currently studying and competing in Western Dressage. Sue is also a member of the Alcona County 4-H Council. Melinda grew up in Birmingham, a suburb of Detroit, and moved Northern Michigan in October 2000. She joined our staff in 2008. When not working, Mel (or #6 as we affectionately call her), enjoys camping with her husband, and spending time with all her 6 cats and her Golden Retriever Archie. Rochelle graduated in 1996 from Alcona High School and grew up in Black River. She briefly joined the staff in 1999, but came back again for good in 2003. #5 as we call her, enjoys spending time with her husband, children and pets while outside of work. Lola was found as a stray near Hubbard Lake. 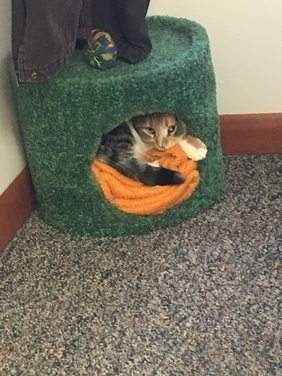 She came to us in the fall of 2018. She is very funny, and fond of dogs, cats, people and cat toys. Megan is a 2009 graduate of Alcona High School, where she was very active in 4-H and sports. Megan is also a graduate of Alpena Community College. She has two dogs, a Great Pyrenees named Phoenix and a Shih Tzu named Tank, also a cat named Meesha. Megan enjoys most outdoor activities as well as spending time with her wonderful husband and family. Sheila was born and raised in the Black River area. She graduated from Alcona Community Schools. She always has had a love for horses and other animals. Sheila came to work in our office in 2011. 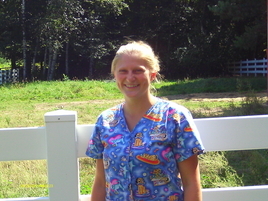 When not working, she enjoys spending time with her horse and her Boxers Stella and Dublin, and various cats and goats. Sheila also has a daughter, Courtney and grand dogs. Lauren Larson, also known as Crash, was born in Saginaw Michigan raised in Harrison and moved up North to Lincoln in 2012, she Graduated from Alcona community schools in 2013, and married her high school sweet heart Specialist Jay Larson in July of 2016. her hopes for the future are to become a Gentle horse trainer and open her own training facility. 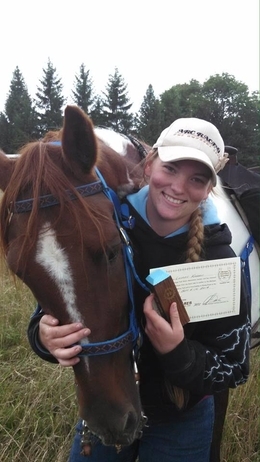 Some of her hobbies include competing in horse shows, cowboy challenges and long distance trail rides with her horses Chief and Sky Commander, hiking, and playing fetch with her two dogs Lilly and Mason. Her friends will tell you she is stubborn and brutally honest. Nothing makes Lauren happier then being in the saddle or around animals and having a good laugh with family and friends. David is our newest staff member here at the clinic. He is an Alcona Community School graduate and is currently attending Michigan State University to study Veterinary Sciences. 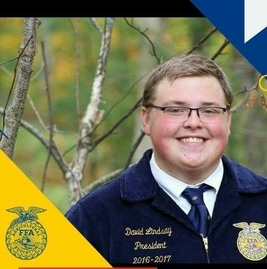 David aspires to become a large animal farm veterinarian. When he isn’t working or at college, he can be found on the back of a horse or spending time with his beagle Chloe. Hannah graduated as valedictorian from Alcona High School in 2014 where she was active in softball, basketball, volleyball, and cross country. She was also a devoted member of 4-H and FFA, serving as the Project Coordinator for the Alcona FFA Lambing Project for two years. She recently graduated from Michigan State University as a member of the Honors College with a Bachelor of Science degree in Animal Science and a minor in Agribusiness Management. She plans to continue her education to become a veterinarian. In her free time, Hannah loves being outdoors; hiking, riding horses, camping, skiing, or playing with her dog Bailey, an Old English Mastiff. She also enjoys reading a good book or obsessing over her absurdly large collection of indoor plants.